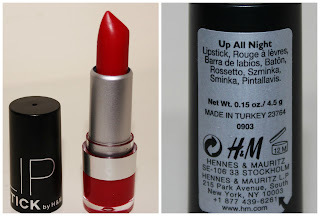 Are you familiar with H&M make up? I've always found their palettes very cheap and my experience with lip glosses and nail polishes has been pretty negative. Fair enough, they are not expensive at all, that's why I decided to give this lipstick a chance when I first saw it at the till lane. The packaging is a little bit better than usual, quite sturdy and I love that opaque finish of the plastic. 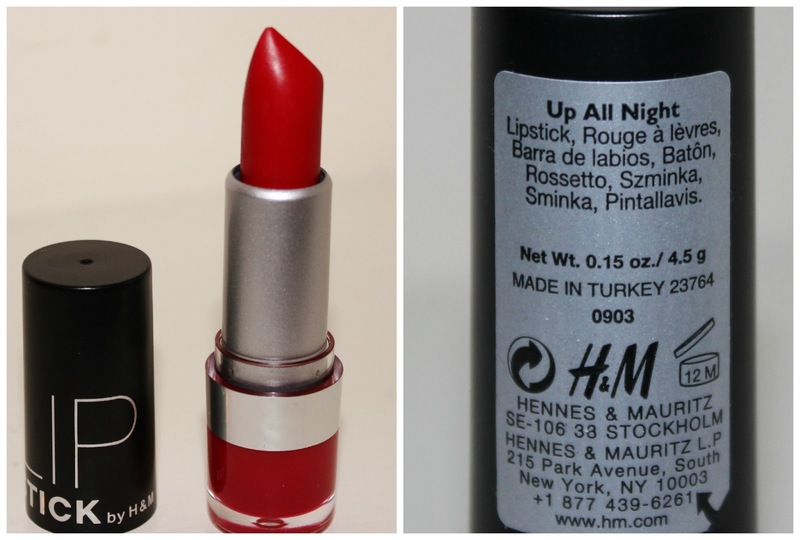 The shade, "up all night" is a bright red, a kind of deep coral. What I really appreciate in this lipstick is the texture. Is very intense and packed with pigmentation, a single layer gives me full coverage. Its long lasting effect is something else I would recommend it for, even if I drink or eat something, doesn't disappear completely leaving you with the horrible lip pencil contour, a red mark stays on the lips like a proper tint. For 3.99 quids, I pat myself on the shoulder!